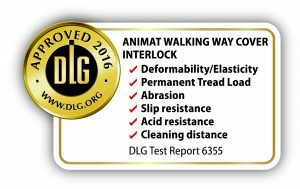 Animat’s signature product, the Interlock Rubber Flooring System, represents the final word in flooring for use on concrete floors. 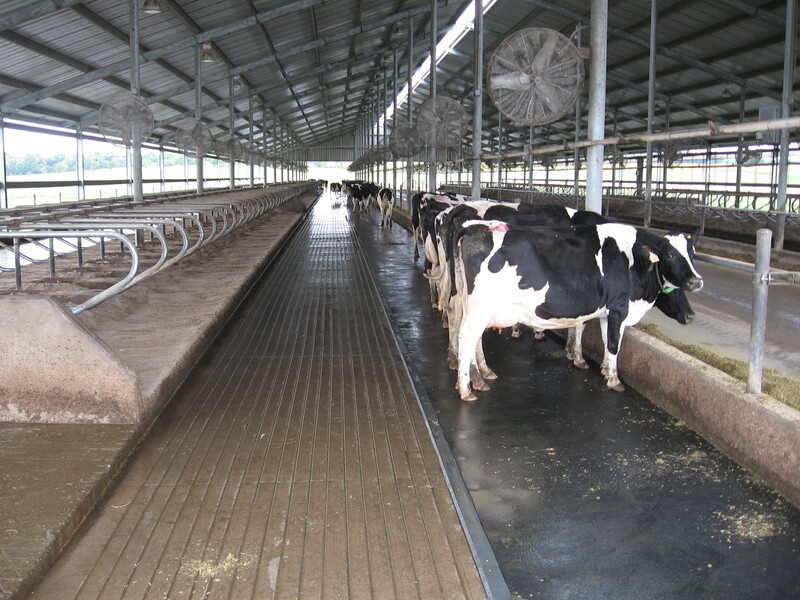 The Interlock Rubber Flooring System’s unique pebble-top design, manufactured using the highest quality 100% recycled rubber, provides excellent surface traction for all types of livestock…..wet or dry…..manure or not and snow. 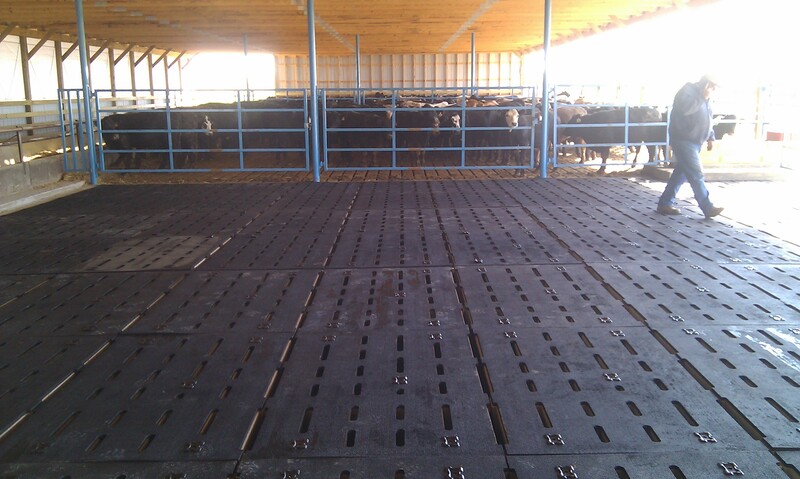 The Animat Interlock™ rubber mat is the definition of comfort and safety to your livestock. 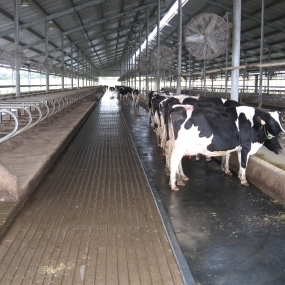 The Interlock rubber mat adapts to any configuration or surface and can be installed virtually anywhere. 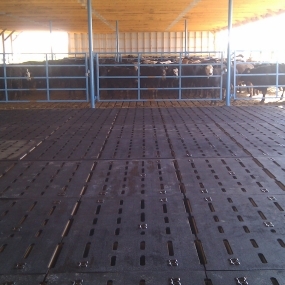 Whether it’s destined for a new or an upgraded facility, you will notice an immediate difference in the behavior of your cows when they are on the Animat’s Interlock rubber mats. 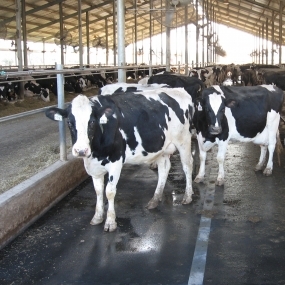 Cleaning Methods used can be alley scrapers, flush systems, manually hosing down the mats, scraping with a rubber tire scraper on either a skid steer or a tractor. You don’t have to baby the flooring, just use common sense. 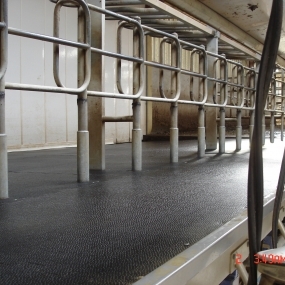 The affordability of the Interlock Rubber Flooring System is the easiest aspect to justify. 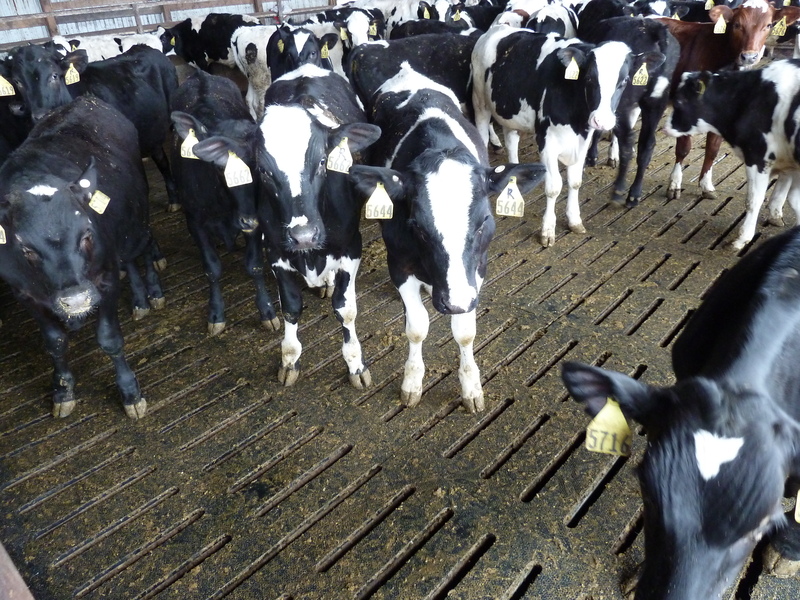 To lose one cow, for example, due to flooring issues, lameness or splits, doesn’t just mean the loss of that one cow. 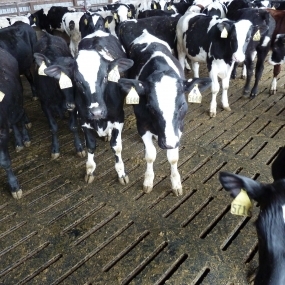 It also includes lost income due to lost milk production, loss of a calf she may be carrying, disruption to the rest of the herd when she’s down, lost of time caring for her or removing her from the area, etc. 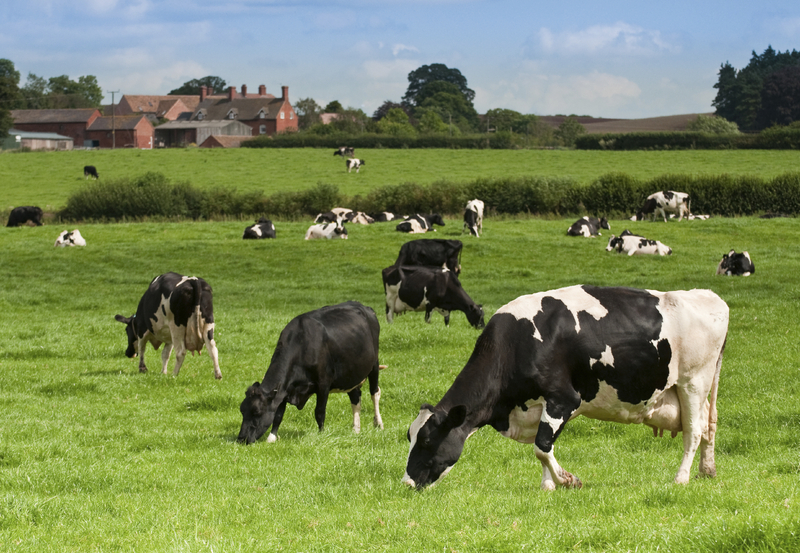 The list goes on and on……and that’s just the loss on ONE cow. 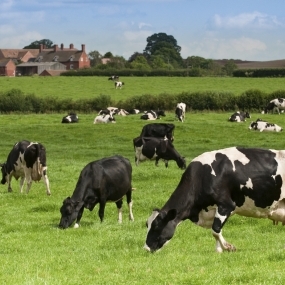 How many do you lose in a year to lameness related problems? It must provide adequate resiliency for proper cushioning of feet and legs. 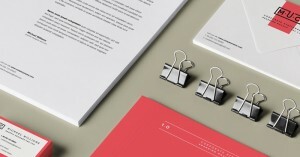 It must be durable for long and useful service life. It must be robust and forgiving…..nobody will clean or maintain their flooring as they should 24/7. 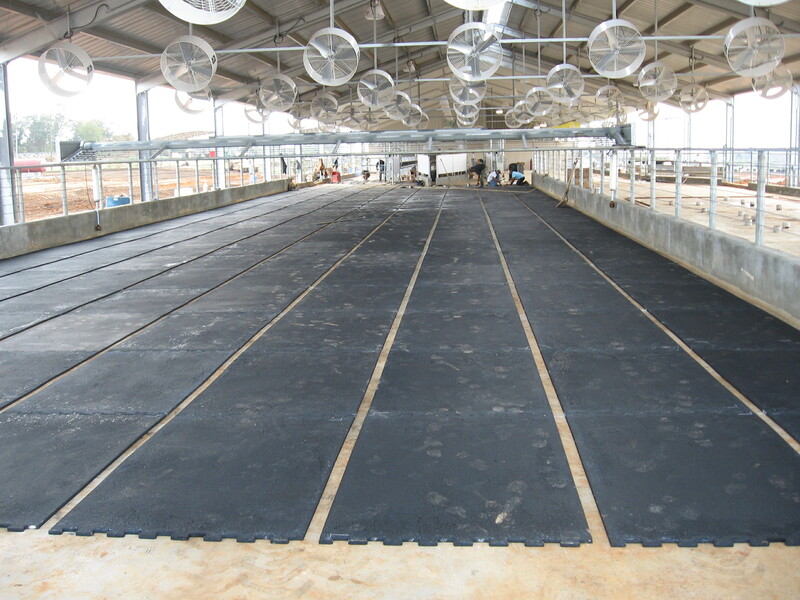 We know that and take it into consideration when formulating our rubber and monitoring our manufacturing processes. 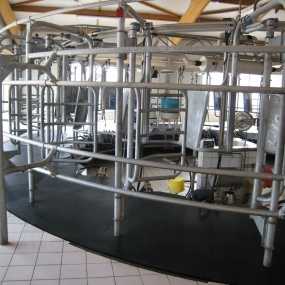 Other companies recommend different products for different parts of your operation. Then they tell you what you can or can’t, should or shouldn’t do on each variation. 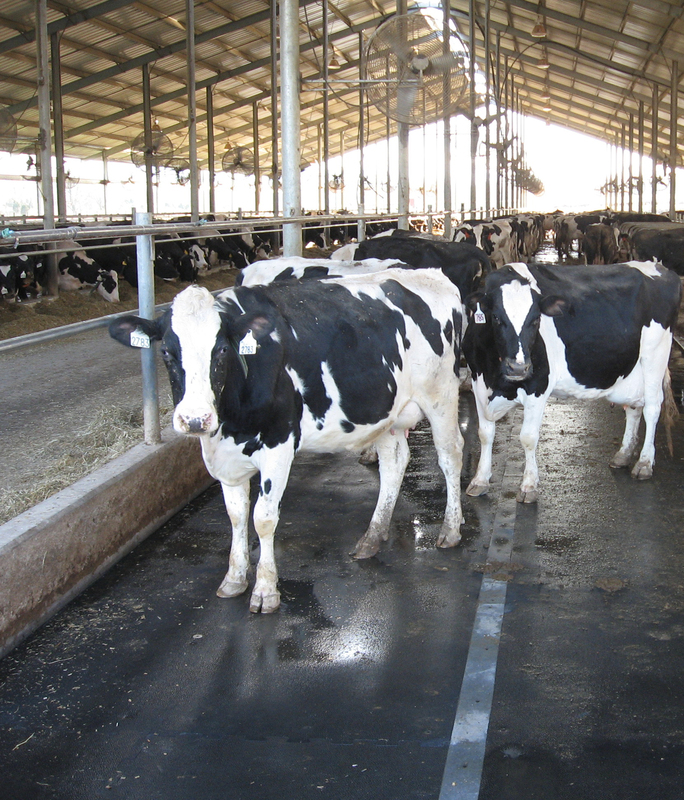 We don’t believe that is a practical solution so we make one type of mat that works exceptionally well in ALL applications. We know that there aren’t enough hours in the day for most managers and they need to get the job done right as efficiently as possible. They will not take the time to deal with inadequacies that are manufactured into a product if it takes more time to get the job done. It must be affordable and the result you obtain should be to get more than you paid for. 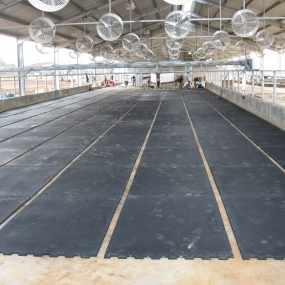 Interlock’s unique design and top-quality 100% recycled rubber will provide years of use and satisfaction and is sure to be appreciated by your animals. Animat rubber mat is the definition of comfort. 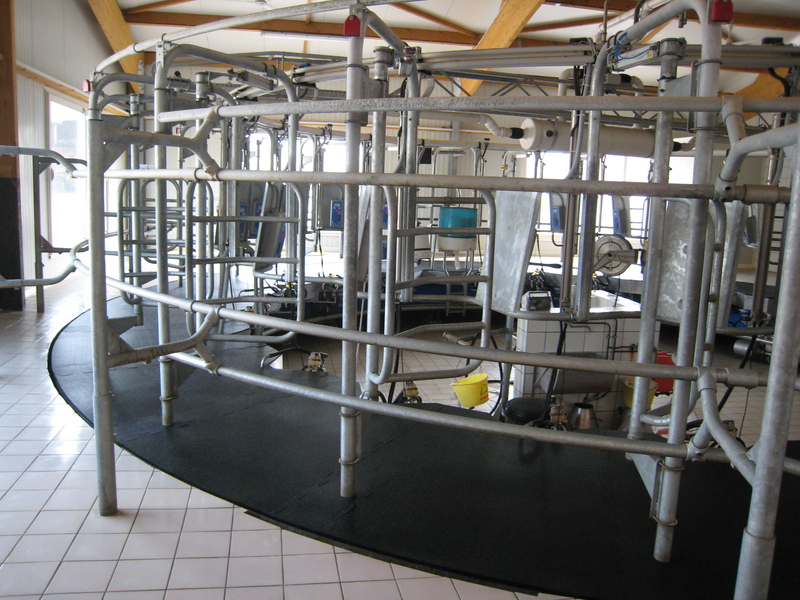 Animat Inc., has been in the rubber manufacturing for over 35 years. 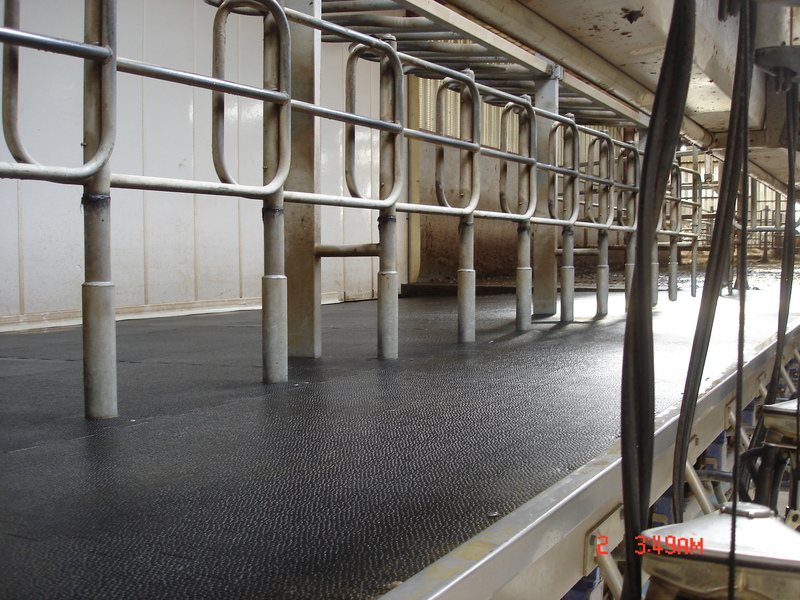 We know our business and understand your business, which allows us to produce Interlock rubber mat that meets your needs and fit your budget. Give us a try…..you’ll be glad you did!